I’ve come up with some Summer weekend itineraries, depending on your mood and with whom you are traveling…These are for when it’s too hot to do anything outside but swim and you don’t want to cook. Friday night – on way into town, stop and pick up Pollo Lucas or pizza (Capone’s, Max’s or Sonoran Grill), and eat in condo. Relax from the drive with cocktails on the patio. Saturday – Shopping in the Old Port, lunch at Boo Bar (guacamole there is must), Tequila Factory for tequila tasting, back to the resort for beach and pool time. Dinner at Sonoran Grill, or La Casa del Capitan. Thursday night – pick up chicken at Pollo Lucas or pizza from Al Capone’s on way to Las Conchas. If you want to dine out, try La Casa de Capitan on top of the hill or one of the many seafood restaurants in the Old Port. Friday – breakfast Kaffee Haus. Old Port for shopping and bar hopping (it will be much less busy on Friday than Saturday). Sunset cruise (Eco Fun, Senorita Rita, or Rey del Mar). Saturday – breakfast at Max’s, beach day, dinner at Pane Vino, on top of the hill, or in the fish market, or Puesta del Sol at Playa Bonita Resort. Friday – dinner at Mare Blu, on Sandy Beach. Friday night – Pick up pizza, or eat at restaurant in resort (most have kids meals). Evening swim in the pool. Saturday – Breakfast at Rosy’s on Calle 26, beach and pool with picnic lunch*, or lunch at pool bar. Early dinner at Wrecked at the Reef or room service. Sunday – Breakfast at Latitude 31, more pool and beach (seriously, it’s all they’ll want to do) and home (hopefully sleeping on the ride home). For sharing large seafood platters, I love Seafood Mary’s, Sr. Amigos, or Flavio’s. La Casa del Capitan and Pane Vino both overlook the old port and have awesome food and views. If eating breakfast out is just too much to coordinate, you can pick up eggs and toast or cereal at an OXXO. OXXO has really good coffee and they are one of the only places I’ve found coffee mate flavored creamers ~ muy importante! Please say Hola! If you see us out and about! 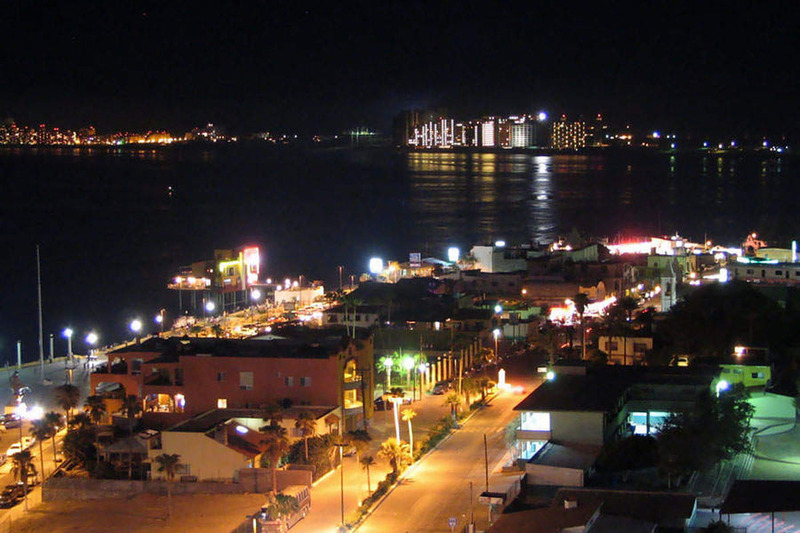 Of course this list is not all inclusive…it’s just some of our tried a true weekends in Rocky Point.